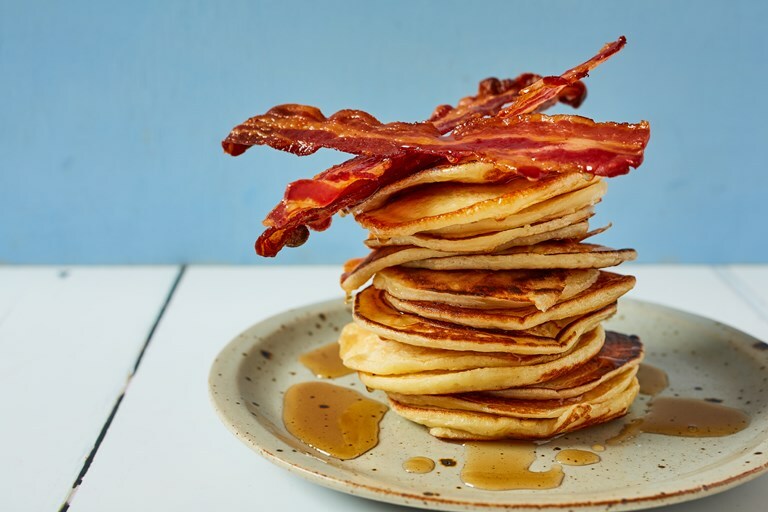 Is there a better weekend breakfast than a giant stack of pancakes drenched in maple syrup and topped with crispy bacon? We think not. Using buttermilk instead of regular milk adds a pleasant tang, and helps to create a fluffier finish. Adding butter to the mix provides a little extra richness. The process of making pancakes often just involves whisking the ingredients together, frying, and eating within minutes. But for the fluffiest, tastiest, best pancake possible, it is really worth resting the batter. This gives the gluten time to relax, resulting in fluffier pancakes. Butter is an excellent addition as fat is a great carrier of flavour.